The Bajaj Majesty DX7 dry iron comes with a non-stick coating which facilitates its easy gliding on all kinds of fabric. This non-stick coating ensures that the fabric doesn’t stick and get torn due to excessive heat. Hence, this steam iron runs smoothly on the fabric and checks accidental burns. The double indicator system in this Bajaj DX7 dry iron has been smartly designed to ensure additional safety and convenience. The red light gleams when the sole plate is heated and when the desired temperature is reached, green light glows. 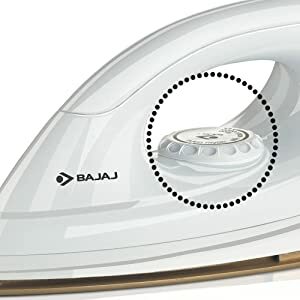 This Bajaj Majesty DX7 dry Iron comes with multiple temperature settings, which means that you can customize your ironing according to the fabric type. As we know that different fabrics need different temperatures to be ironed properly. 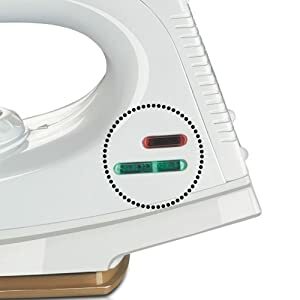 Hence, this dry iron has an adjustable knob to help set temperature in accordance with the nature of fabric. Excessively high temperature can ruin electrical components. 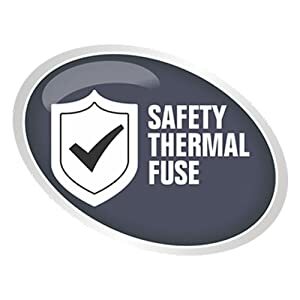 In the event of thermal overloading, the thermal fuse breaks the circuit and protects it from any electrical damage. The purpose is to reduce power risk, electric shock and injuries caused due to overheating. 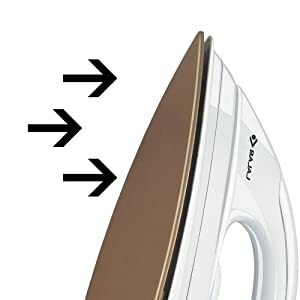 This steam iron has a 360 degree free movement swivel cord for you to move the iron effortlessly in every direction. 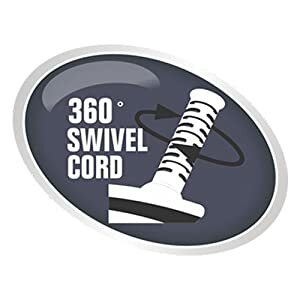 This 360 degree free movement avoids the possibility of tangled wires and keeps your hands and wrist stress free. The Bajaj Majesty DX7 dry iron makes your iron job quite easy because of its compact and lightweight structure. It’s extremely light weight and therefore, very handy to use. 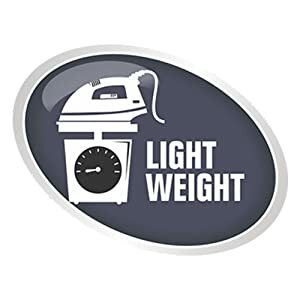 Its compact design and light weight allows you to carry it with you where ever you need.